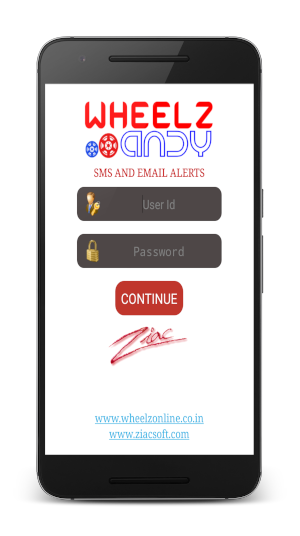 Wheelz Online is a web enabled software for the automobile industry. 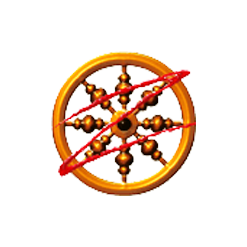 This cloud offering is designed & developed by Ziac Software Pvt. Ltd. with the latest technologies. 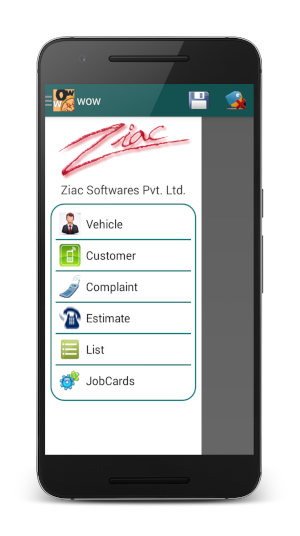 The application is a result of sheer hardwork of professionals with a vast knowledge of experience in the automobile domain acquired by real time exposure to the automobile industry. This application is hosted on world class data centers and can be accessed online with just an internet connection. The data is securely stored on the central database server and can be optionally shared with others. All Vendors, Dealers, Sub-Dealers or Authorized Representatives of Dealers can be tagged to have Shared Data. Sharing of full data or partial data will be helpful to know availability of required items with any of the Vendors or Co-Dealers. Items billed or issued by vendor can be directly imported into purchases saving time and avoiding typographical errors of amount and quantity. Wheelz Online is Simple, User Friendly and with great graphic features is very easy to use. The software usage is well documented. Major advantages of web enabled software is, accessibility from systems and locations, immediate support and less maintenance costs. The software is subscription based and moderately priced to make it easily affordable. Click here to view brief write up of the application. Click here to get a quotation / proforma invoice for the application signup. Download the document for the System Requirements here. 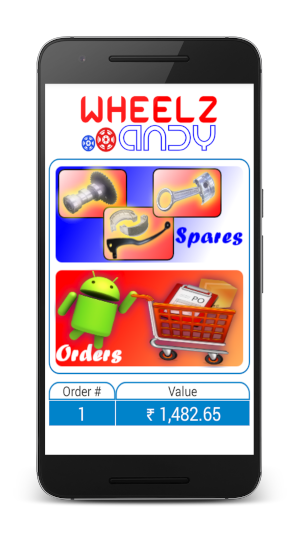 The all new WheelzAndy Purchase Order Android App for Android Handsets is an add-on module that makes sending purchase order of spares through mail more seamless. 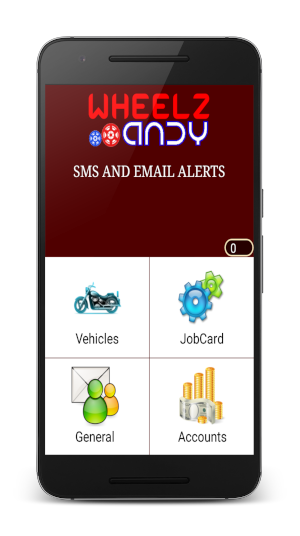 A mobile app for supervisors to raise jobcards on their mobile while inspecting vehicle or interacting with customers. 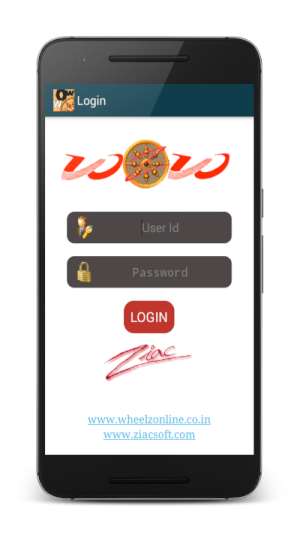 The jobcards raised by the supervisors can later be synchronized with Wheelz Software for regular processing. Price lists, Quotations, Enquiry follow-ups, Bookings, Advances, Refunds, Local / CSD / Institutional Sales, RTO Sale Letters, Thanks letter for banks, Hypothecation Letters, Vehicle Issues for ASC. Spares Masters, Sales bills, Purchase orders, VOR Purchase orders, Purchase bills, Returns, Quotations & estimation, Stores Issues & Receipts, Delivery Challans, Sales & purchase returns. Service follow-ups, Job cards, History card, Service information, Free Service / Regular Service Details, Complaints, Observations, Job to be done and Action taken details. Payments, Receipts, Journals entries, Credit/Debit Notes, Trial Balance. Spares Sales Analysis, Monthly Technical Report, Unsold parts listing, Monthly workshop performance report, Stock Register, Monthly Tax collected statement, Sales and Purchase Statement. Automatic categorization of spares into ABC categories where, A Category are spares providing more profitability, B Category are spares providing next level of profitability and finally C Category are spares providing less profitability.